February: the shortest month but in many ways a “Big” month. Why? Well, starting right after sunset, Venus is visible low in the south west. This is the brightest object in the sky, at least until the Moon rises, although some of its glory is lost in the glow from the setting Sun. It will rise higher in the sky during the course of the month and become more spectacular as it does. Keep a special look-out for it on the 20th when a thin crescent Moon is close by, and again on the following two nights when Venus is very close to that reddest of planets, Mars. 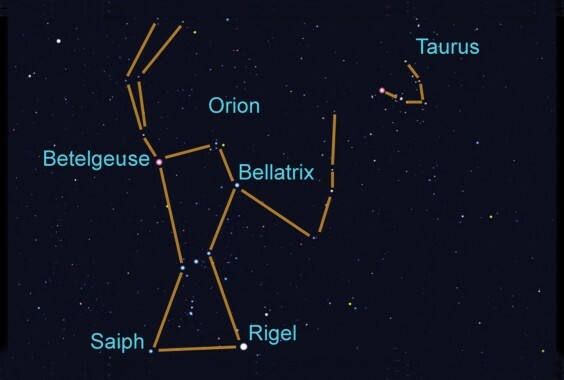 Later in the evening, high in the south is the biggest and brightest of the constellations, Orion. Actually, it isn’t technically the biggest, and a constellation doesn’t have a brightness as such, but just go out and look and you’ll see what I mean. For a start, it does look like a hunter with a bow or a weapon of some sort, ready to fell Taurus the bull next door. To the top left of Orion is the biggest star in our night sky, Betelgeuse. This massive star is roughly one thousand times bigger than our Sun and if it was plopped into the middle of our Solar System it would swallow all the planets apart from Uranus and Neptune (and Pluto of course). However, just to prove that bigger isn’t better (not that proof is needed), Betelgeuse would be a rubbish replacement for our Sun because it is much cooler – a mere six thousand degrees compared to our Sun’s ten thousand. It also belongs to the “live fast, die young” band of stars so, although only ten million years old, it will explode in a supernova any day now. Better get out and observe it while you can, and be grateful for the friendly little white dwarf star that looks after us. Way over to the left of Orion is the largest planet in our solar system, Jupiter. It’s easy to spot, being the brightest object in this part of the sky and even easily visible next to the full Moon on the 3rd. The Sun, Earth and Jupiter all line up on the 6th, so Jupiter is said to be “at opposition” and will be due south at midnight, although it gets easier to see as the days go by and is higher in the sky earlier in the evening. Incidentally, for those of you who are up and about early, Saturn is easily visible just before sunrise, low in the south east. Look out for a thin crescent Moon just to the left on the morning of the 13th. The International Space Station is the largest artificial satellite and sometime this month it is due to be visited by a SpaceX Dragon. No, not a mythical beast but the biggest American resupply vessel. You will need to keep an eye on http://www.heavens-above.com for details. So that’s February – like some of the best things in life, short but special!